John Cantrell first came to Big Bear Lake on family vacations when he was a child. He continued to come back when he had a family of his own. In 1989, he met “Capt. Pete”, who taught him everything there was to know about fishing in Big Bear Lake. 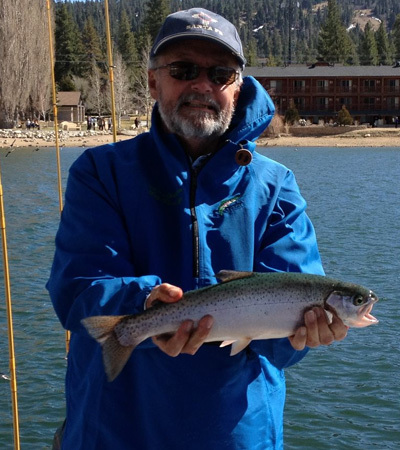 With the longest running guide service on Big Bear Lake, John knows Big Bear Lake and loves to share fishing tips and the secrets spots. Beware, though! John has some jokes that will either make you LOL or just shake your head.